Home » Blog » What Is The Difference Between Freehold and Leasehold? 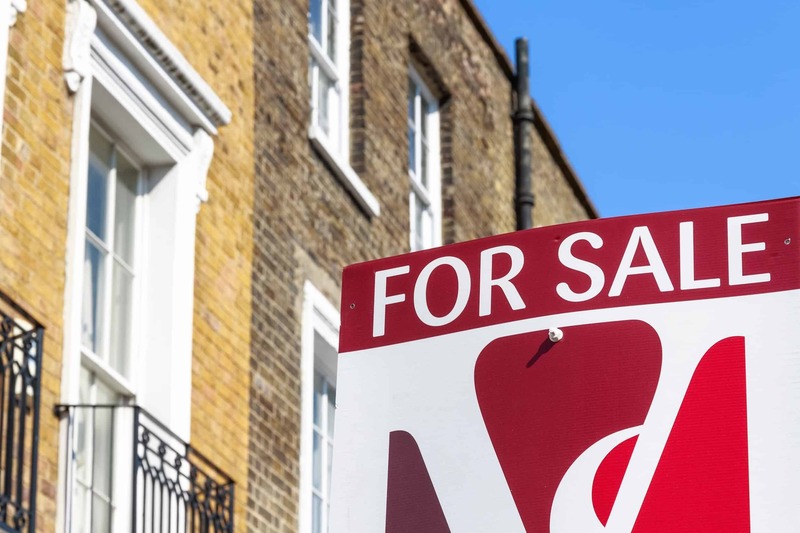 When you’re on the hunt for a new property, one of the most common terms you may hear from solicitors or estate agents is freehold and leasehold. But what exactly is the difference between freehold and leasehold properties? We have looked into the difference between the two, how to find out if your property, or the property you wish to buy, is freehold or leasehold, and other common issues faced when dealing with freehold and leasehold properties. Freehold Vs Leasehold: What is the difference? Knowing the difference between freehold and leasehold is extremely important when house hunting, as well as understanding whether the property you intend to buy is freehold or leasehold. A freehold property includes both the property itself and the land it sits on. So, when purchasing a freehold property, you will outright own the property and the land it sits on. Owning a freehold property enables you to be named as the “freeholder” on the land registry, as well owning the “title absolute”. There are both advantages and disadvantages to buying a freehold property, however freeholds are usually the preferred type due to a lack of complications later down the line. Owning a freehold property means you are not required to pay any ground rent as you own the ground the property sits on. As you own the entirety of the property and land, you are responsible for any maintenance on the property and land. This also allows you to find a contractor that suits your budget, rather than having a freeholder charge large amounts for maintenance or failing to keep up with maintenance for the property. A leasehold property is one that sits on land that is owned by a freeholder, or landlord. When you purchase a leasehold home, you are purchasing a temporary licence to occupy the land the house sits on. As the freeholder has the legal ownership of the land the property sits on, homeowners will be legally liable for contractual agreements such as ground rent, service charges and any areas they may be responsible for. Common examples of leasehold properties include flats within a residential building or a property with a joint garden or outdoor space. There are some advantages and disadvantages for purchasing a leasehold property. With leasehold properties, you may have less responsibility for repairs and maintenance. Your lease may come with some conditions on restrictions within the property, such as whether you can have pets. The freeholder has control over the amount of service charges and the costs of those charges. As mentioned earlier, many leasehold properties are flats within residential or communal buildings, where the maintenance of the building lies with the freeholder. However, many new build properties were sold as leasehold homes. As of 2017, the government put a ban in place for the sale of new build leasehold homes. This was due to an unprecedented amount of homeowners who purchased new build homes to find themselves with high charges. This ban stops all new build homes being sold as a leasehold, forces ground rents on new long lease properties to be set to zero, and makes it easier and cheaper for existing leaseholders to buy the freehold on their home. However, homeowners who already own a new build leasehold home are left with the option of continuing the leasehold, or purchasing the freehold. This can be a complicated process, however we explain below the best way to go about this process. Can I buy the freehold for my leasehold property? Owners of leasehold homes are able to buy the freehold for their property, however you must have the landowner’s permission. If buying the freehold is something you wish to do, the first step is to approach the landowner and ask for their permission. If the landowner agrees, you can go ahead and purchase the freehold, however there is no guarantee that the freeholder would like to sell the freehold. If you are given the go-ahead to purchase, it’s important to remember the cost of the purchase. The cost is based on your property’s value, and may be similar to the price of extending the lease. When purchasing the freehold of a flat, you will only own a certain part of the freehold, however those purchasing the freehold for a house will own the entire freehold outright. It is advisable to seek legal help during the process of buying a freehold to ensure the process goes as smoothly as possible. How can I find out who owns the land of my leasehold property? There is the option of purchasing the freehold for your property, and to do this you will need to know who the landlord or freeholder of your property is. Most homeowners should be aware of this information, however if you have recently purchased your home, finding out who is the leaseholder is a simple process. Our blog about finding out who owns a house or land has further details and instructions should you need them. What are the common issues faced with leasehold properties? Leasehold properties can often come with financial issues for homeowners. As well as the associated costs with buying the freehold for your property, there is the issue of selling the property in the future. Leasehold properties all have a set number of years on the lease. Leases are usually long term and can range between 90 years and 999 years. When selling your home, the fewer years left on the lease, the less your property may be worth. It’s advisable to renew the lease, or buy the freehold, if your home has 85 years or less left on the lease. This is to encourage buyers to purchase your home, without the buyer having to worry about renewing the lease at their cost in the future. If you own a freehold property and are looking to sell your home quickly, a member of our experienced surveying team here at Good Move will be happy to help you.